A long fall provides a few extra weeks to look back on the year that was — to reassess plant stands, fertilizer rates and disease levels. A long fall also gives growers an opportunity to control weeds and distribute residue in fields planned for canola in 2013. 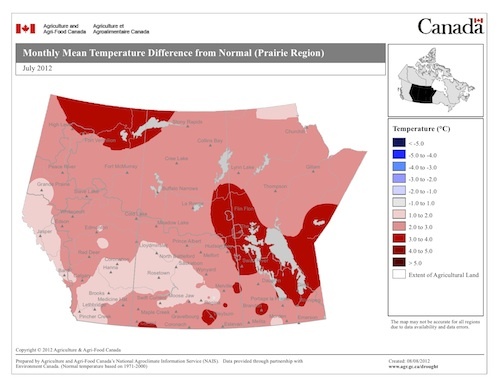 July was very hot, which is bad news for a cool season crop like canola. When daytime highs reach 28-29 C or higher, pollen viability and length of flowering drop off, and seed and pod abortion increase. July was also very dry for some regions. When heat and lack of rainfall are combined, the plant goes into survival mode. 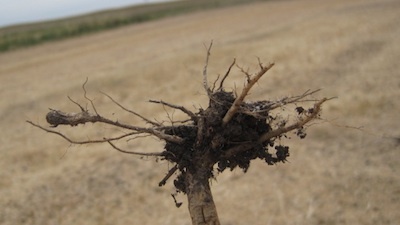 It wants to develop just enough seed to survive, then it stops flowering to conserve moisture. 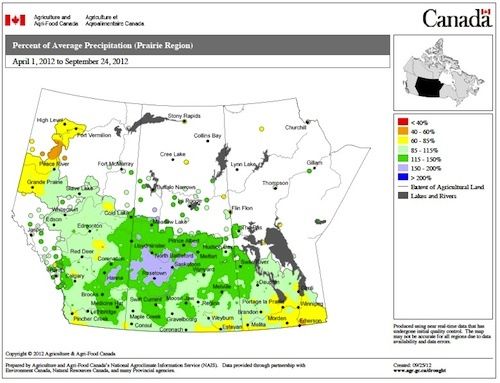 Regular rains throughout central and west-central Saskatchewan in particular increased disease in canola. Fungicide to protect canola from sclerotinia stem rot was a worthwhile investment. 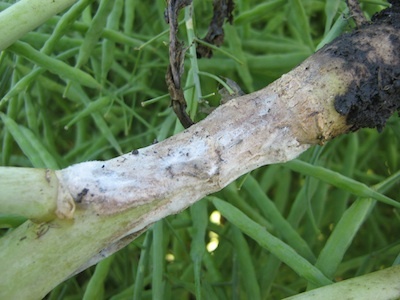 Sclerotinia is no longer a regional issue. 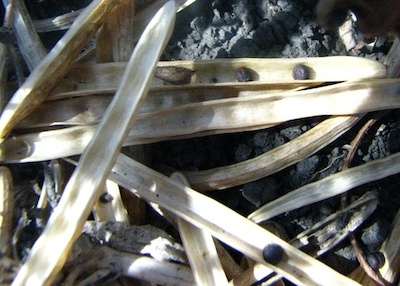 It doesn’t matter where you farm, your canola can get a costly sclerotinia infection if conditions are moist before, during and after flowering. Budget to spray in 2013. Clubroot continues to spread. Did you have blackleg this year? We don’t exactly know why insects were more plentiful this year, but a mild winter and more canola than ever are likely factors. Achieving a plant stand in the range of 7 to 14 plants per square foot provides a buffer for some plant loss to insects. Scouting and spraying when populations exceed economic thresholds will increase the return on investment. If nutrient reserves were not utilized because of environmental extremes, where are these reserves? How big are they? Soil tests will help determine this carryover. Because some may be concentrated at lower depths, growers may consider submitting 0-6” and 6-24” samples. If crops (including non-canola crops that will precede canola in 2013) had heavy biomass but low yield, nutrient in the biomass will remain in the field but might not cycle back into available forms in time for next year’s crop. Canola needed 10 plants per square foot to deal with everything that came along in 2012 and still come through with a decent yield. A stubble count this fall will determine how many plants made it through to harvest. 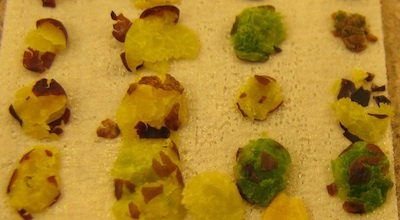 High green seed counts have been reported in some fields. 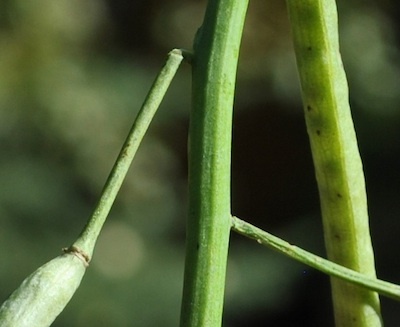 To restart the chlorophyll-clearing enzymes, canola seed needs to get back above 20% moisture. Reasonably warm temperatures, ideally at least 15 C, are also needed. Frost is forecast for later this week. Any crops not in the swath already and that need more time to mature are probably best left standing to see what the frost amounts to. Soil testing right after combining will help determine whether this year’s canola ran out of nutrients. Why is this pod breaking off? 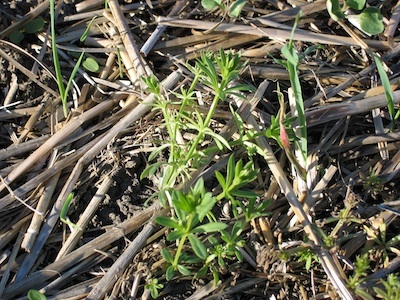 Cold temperatures help trigger winter annuals, such as cleavers (shown), and perennials to start moving food reserves down into below ground tissues, so waiting until after the cooler weather can improve weed control. But make sure weeds are actively growing with new supple leaf area to target, and that the actual spray day is warm. Growers with dry canola and high green counts are wondering whether to leave the swathed crop a while longer or combine now and accept the grade loss. When making that decision, ask: Is moisture in the forecast? How green is it? What’s the price discount? These and other considerations will help with the decision. Canola with high chlorophyll content is less stable in storage, even if the canola is dry and cool. The safest bet is to deliver sooner than later. If that is not an option, proper conditioning and frequent monitoring for heating and spoilage are crucial until it can be delivered.